Olympia (Veneri) Molfetas, age 88, of Paramus, NJ went peacefully on Friday, November 16, 2018 at home. She spent her last days peacefully surrounded by her comforting loved ones as she wanted. Born and raised in Korinthos, Greece, she immigrated to the U.S. in 1952 becoming a talented and passionate seamstress. In 1956, she married Spiros Molfetas, the legendary restaurateur “Molfetas” creating a beautiful life together where she was his rock. 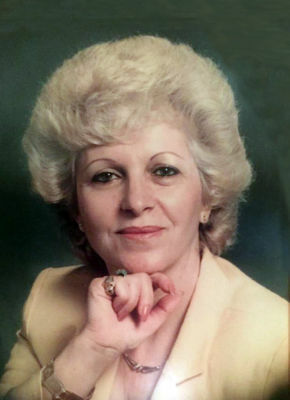 A faithful member of St. Athanasios Greek Orthodox Church in Paramus, she was a member of Daughters of Penelope and volunteered countless hours with various organizations. She was also a member of the Mr. & Mrs. Club of The Metropolitan Cathedral of St. John the Theologian in Tenafly. An avid traveler, she enjoyed playing Bocci, sewing and knitting. A class act, Olympia will be remembered for her remarkable strength. Beloved wife of the late Spiros Molfetas. Loving and devoted mother of Jerry Molfetas and wife Emily, Harry Molfetas and wife Martha and Christina Molfetas. Cherished grandmother of Spiro Kasabian and wife Kathleen, Pia Kasabian and Spiro and Michael Molfetas. Dear sister of the late Amalia, Vasso, Evthokia and Niko. Devoted aunt of Mary, John and Steve Roussos. Dear Godmother of Mathew Roussos and wife Katie. The family will receive relatives and friends Sunday, November 18, 2018, 1- 4 pm at Vander Plaat-Caggiano Funeral Home, 13-31 Saddle River Road, Fair Lawn, NJ. Trisagion Sunday 2 pm. A funeral service is planned for Monday, November 19, 2018, 12:30 pm at St. Athanasios Greek Orthodox Church, 51 Paramus Road, Paramus, NJ 07652. Interment will follow at Valleau Cemetery in Ridgewood. In lieu of flowers, donations in memory of Olympia to St. Athanasios Greek Orthodox Church or Alzheimer’s NJ, 425 Eagle Rock Avenue, Suite 203, Roseland, NJ 07068, www.alznj.org would be appreciated. Will always remember my Godmother. She was a beautiful and elegant lady that I was always proud to call my Nona. She is in good company now with my Godfather and my Mom, her Koumbara. God bless them with eternal life.